A man reported to be in his mid-thirties has committed suicide on the N1 highway after an argument with a trotro mate over new increased transport fares. According to Yussif Ametewegble, an eye witness, the man got onto the bus that was heading to La Paz and when he paid the old fare, he got into a heated argument with the bus conductor as to it being insufficient and jumped off the bus from the window into the lane of a speeding truck. Other eye witnesses said that the man was drunk and it could be noticed from his speech and odour. His body was eaten by two hungry dogs after the unfortunate incident. 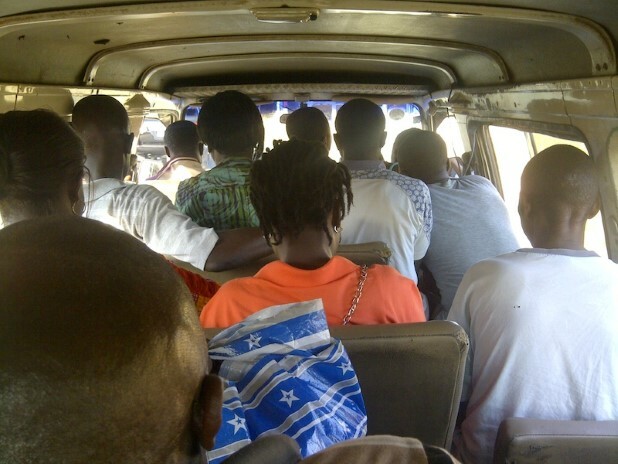 Ghanaians wake up each day to new transport fare increment–a situation which has become unbearable and has opened the floodgate for trotro mates to exploit passengers.